Intravenous (IV) Hydration infusions replenish hydration, which can aid in recovering from a hang over, help with recovery from illness or jet lag. Intravenous (IV) Hydration infusions replenish hydration, which can aid in recovering from a hang over, help with recovery from illness or jet lag. Our Vitamin Infusion options can restore levels of vitamins and nutrients as well as boost energy and help you feel revitalized overall. 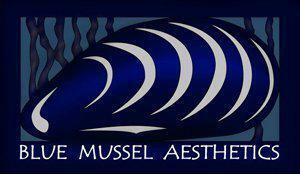 Blue Mussel Aesthetics offers basic hydration, multivitamin infusion and a B vitamin energy blend. Oxygen therapy is concurrently available which can heighten concentration, alertness and memory. We also offer anti-nausea and headache relief medications. There is a small amount of discomfort associated with starting the IV. The nurse practitioners at Blue Mussel Aesthetics all have ample experience in starting IVs. The infusion itself may feel cool but is not painful. There no downtime with IV Hydration.